Pregnancy : Could Vitamin D Make Childbirth Less Painful? 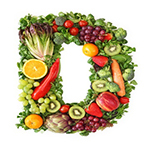 TUESDAY, Oct. 14, 2014 (HealthDay News) -- Low vitamin D levels could make childbirth more painful, according to a new study. Vitamin D deficiency is common during pregnancy, especially among high-risk women, including vegetarians, those with little sun exposure, and members of ethnic minorities, the American College of Obstetricians and Gynecologists says. The new study included 93 pregnant women whose vitamin D levels were checked before childbirth and who received an epidural for pain during labor. The researchers measured how much pain medication each of the women required during delivery. Women with lower vitamin D levels required more pain medication than those with higher vitamin D levels, according to the study scheduled for presentation Tuesday at the annual meeting of the American Society of Anesthesiologists in New Orleans. "Women often experience lower than normal levels of vitamin D during pregnancy. We found that patients with low levels of vitamin D experienced an increase in pain during childbirth," senior author Dr. Andrew Geller, an anesthesiologist at Cedars-Sinai Medical Center in Los Angeles, said in a society news release. "Given the research results, prevention and treatment of low vitamin D levels in pregnant women may have a significant impact on decreasing labor pain in millions of women every year," he added. "This topic needs to be revisited and additional research should be conducted to determine how we can improve the labor experience for women everywhere," Geller concluded. Studies presented at meetings are usually considered preliminary until published in a peer-reviewed medical journal.